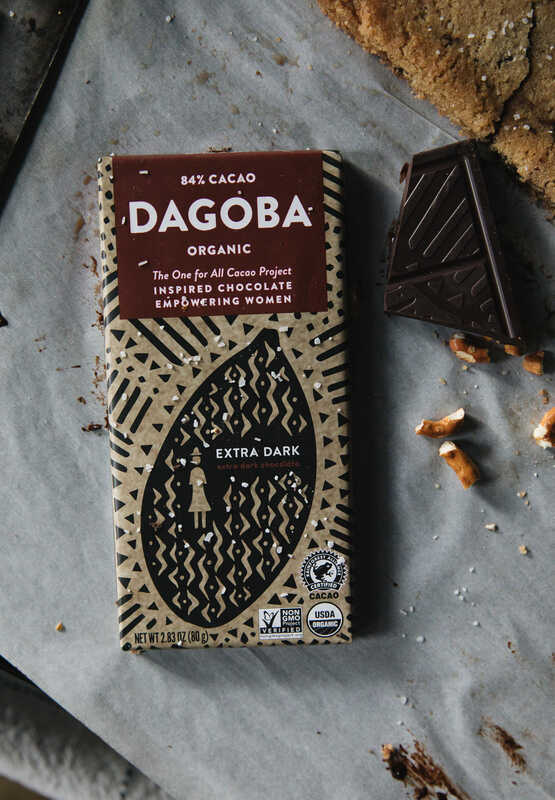 I’m sharing DAGOBA in my life as part of a sponsored series with Socialstars. Well, you guys. Happy 2018! Excited for all that the year has in store AND to start the year off with Whole30. More on that to come at a later date! Also, be on the lookout for some Whole30 approved recipes as I make my way through the net month! 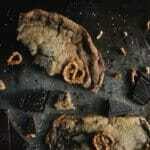 So obviously these cookies were from last month, and what I took to family Christmas this year. Let me tell you – there were a hit! Why? Cause a mix of sweet and savory is always a winner. Therefore these guys are sure to be a new favorite. Of course, after I finish Whole30 that is. So until them for me until then, deal? 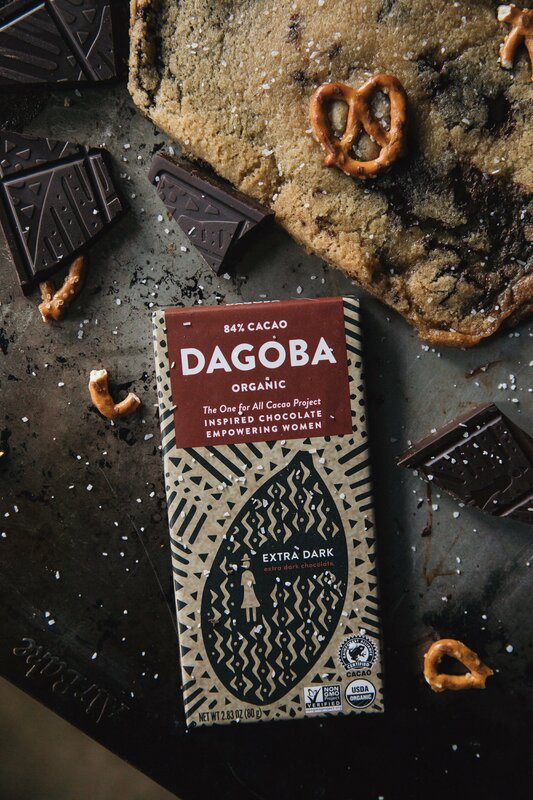 DAGOBA chocolate bars make for a perfect snack and an even better addition to cookies. 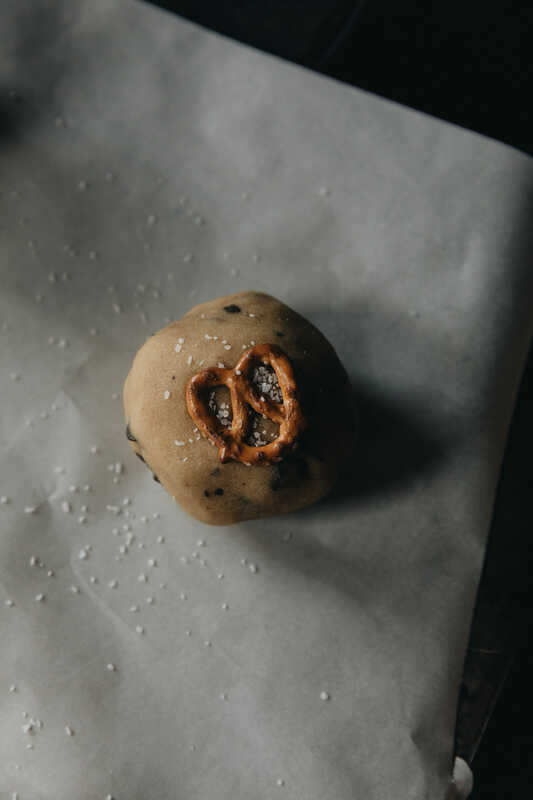 Especially their Extra Dark variety, cause when paired with salty bits of pretzels it’s the perfect marriage of sweet and savory. Don’t believe me? 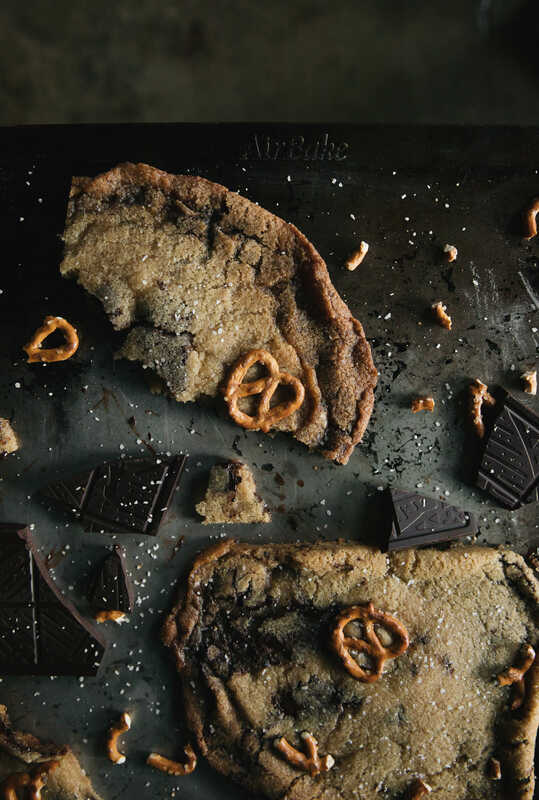 Scroll through the rest of these photos, and I’m sure your mouth will be watering. So after that, grab the recipe for yourself and head to your local Target to pick up my new favorite chocolate bars. Then it’s as simple as following a real, real simple recipe. 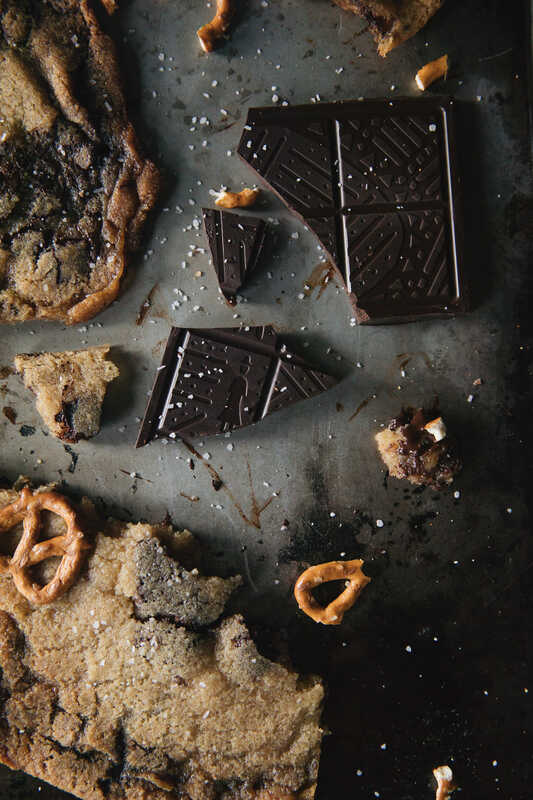 Because nobody needs an overly complicated cookie recipe – especially this early in the year. Cream together butters and sugars in mixing bowl until light and fluffy. Add egg to mixture and mix until well combined. In separate bowl, whisk together flour, salt, and baking soda before adding to wet ingredients. 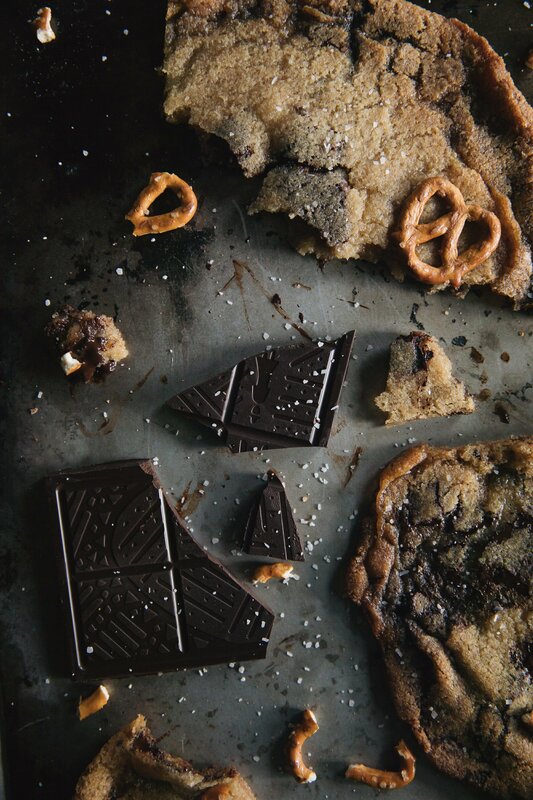 Fold in chocolate pieces and pretzels. Shape into 2 inch balls, place on a large cookie sheet, and place in the freezer for 30 minutes. Bake for 12-15 minutes or until edges are brown. Remove from oven and allow to cool on rack for 5 minutes before carefully transferring to wire rack to cool completely.